Sign up here to be kept updated via email. Pauline Byakika-Kibwika, winner of the HIVRT alumni scholarship to attend the HIV Drug Therapy Congress, Glasgow, 2018. HIV Research Trust alumni were asked to complete a survey describing how their HIVRT scholarship had impacted their professional and academic lives allowing Trustees to better understand how it affected patient outcomes in the scholar’s home setting. The Trustees assessed all survey responses and selected Pauline to receive the above award. Her story is summarised below. In 2010 Pauline attended a placement at Mahidol University, Thailand to obtain clinical pharmacology analytical skills to assist her in completing her PhD. Pauline’s PhD work contributed to the current knowledge on treatment of malaria in HIV-infected patients who are also receiving antiretroviral treatment. This work has been utilised and referenced by the World Health Organization in the current policy on treatment of malaria in HIV-infected individuals. After completion of her PhD, she was promoted to Associate Professor and currently heads the Infectious Diseases Unit at the Department of Medicine of Makerere University College of Health Sciences, Kampala, Uganda where they care for those who are affected with HIV and opportunistic infections - more than 200 HIV-infected inpatients and over 300 outpatients are seen each month. Pauline is also the Director of the Research Directorate at Makerere where her responsibilities include reviewing and guiding the research framework at the Department of Medicine and supervising Masters and PhD students’ research projects. Adedayo Adeyemi (Nigeria) Adherence to Antiretroviral Therapy and its Principal Determinants in HIV-Infected Adults. Dr Adeyemi’s HIV Research Trust Scholarship provided him with training in research methods necessary for a study of obstacles to voluntary counselling and HIV testing of women attending an ante-natal clinic in Johannesburg. Such testing and counselling facilitates prevention of mother to child transmission of HIV. By understanding the societal and other obstacles to testing the proportion of women accepting the service might be increased. Siaka Alhassan (Nigeria) Impact of Comunity based Voluntary Counselling and Testing on acces to Anti Retroviral Therapy. Received training in operational research in Uganda, including the design and implementation of data collection instruments. This has helped him in his current post where he is responsible for data collection, programme planning and implementation in Nigeria. Claire K. Ebegbare (Nigeria) Quantitative and Qualitative Research Methods Training. Claire is a social worker on a programme for orphans and vulnerable children. Her HIV Research Trust Scholarship provided her with the opportunity to receive training in qualitative and quantitative research methods at the Association for reproductive Health Ibadan, Nigeria. Resign Gunda (Zimbabwe) HIV Research Training and HIV Diagnosis using CD4 cell count, DNA PCR, RNA PCR and ELISPOT. 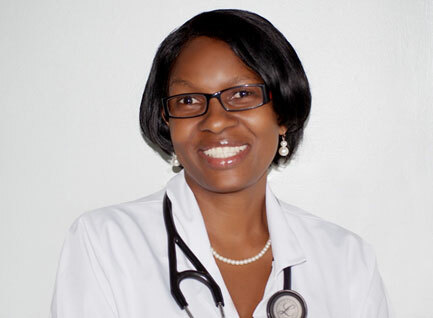 Resign Gunda, of the National Institute of Health research Zimbabwe, received training in modern HIV diagnostic methods at Botswana-Harvard HIV reference laboratory. Catherine MacPhail (South Africa) Prevention Intervention for HIV-infected adolescents. Dr Catherine McPhail of the Reproductive Health and HIV Research Unit Witwatersrand S.A. visited researchers in Los Angeles (California), Atlanta (Georgia) and Chapel Hill (North Carolina) to learn about programmes of prevention in HIV infected individuals. Alan Matthews (South Africa) Development of an HIV-AIDS Epidemic Microsimulation Model applied to Southern Africa; Testing the Healthy Carrier Hypothesis. Dr Matthews’ research concerns computer simulation of the HIV epidemic in Southern Africa, using data from Zambia, seeking to explain why prevalence is much higher in women than in men; to model the age-pattern over time; and to test the hypothesis that men might act as “healthy carriers”. His HIV Research Trust Scholarship allowed him to develop the programmes at the Institut Pasteur in Paris. Ramona Moodley (South Africa) Acquisiton and Immune response of Pneumocystis jirocevii pneumonia in South African infants. Ramona Moodley of the Nelson Mandela School of Medicine Durban SA visited a reference laboratory in Cincinnati to learn the methods of laboratory diagnosis of Pneumocystis infection which is very common in HIV infected children in South Africa. Thuli Carol Penelope Mthiyane (South Africa) Reconstitution of TB antigen specific IFN-y responses in TB-HIV coinfected subjects. Johnson Mushonga (Zimbabwe) Data Management within a Clinical Trials Setup. Johnson Mushonga went to PHRU in South Africa to develop expertise in data management processes to assist in the development of clinical trials. Innocent C. J. Omalu (Nigeria) Studies on HIV/AIDS drugs resistance. He received training in measurement of viral load and plasma concentrations of drugs at the Africa Institute of Biomedical Science and Technology Harare Zimbabwe. This will help him in his current post as part of the AIDS Prevention in Nigeria (APIN) at Jos University Teaching Hospital (JUTH). where research involves drug monitoring and surveillance and detecting resistance. Bashir Oyeyemi (Nigeria) Peculiarities of providing care for children with HIV/AIDS. Bashir Oyeyemi of the Federal Medical Centre, Katsina, Niger, visited the the Aids Prevention Initiative in Nigeria (APIN) Laboratory at the Jos University Teaching Hospital, Jos, Nigeria to learn best practice in the provision of care for children with HIV/AIDS and those at risk of infection. Rutendo Zinyama (Zimbabwe) Expression of genetic markers associated with susceptibility to HIV infection : impact of co-infection with schistosomiasis Rutendo. B.L Zinyama from Zimbabwe traveled to Rigshospital Denmark, to carry out ELISA assays and Mannose Binding Lectin PCR genotyping on 379 blood samples from Zimbabwe. The aim was to determine whether there was a link between genotype and susceptibility to HIV infection. The scholarships are for health care professionals in early/mid-career who are located in resource-limited settings from low-income and lower-middle-income countries working in the field of HIV infection. Read more to see if you are eligible.